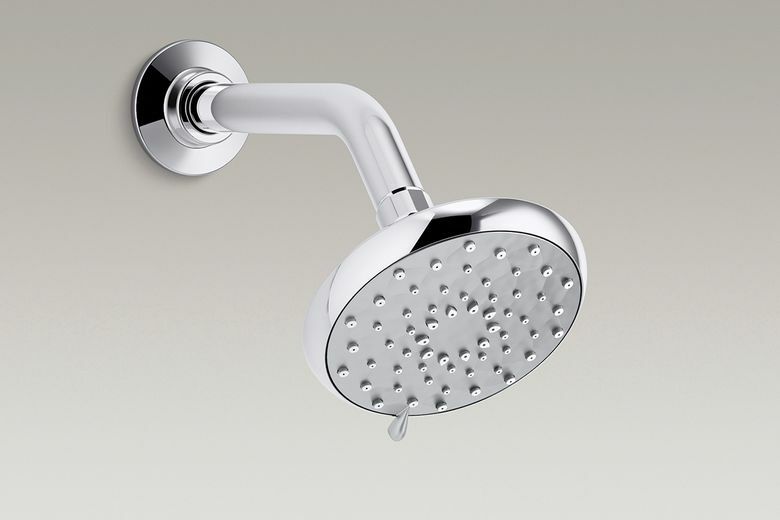 Many high-efficiency showerheads have been redesigned to deliver added features. Q: I am looking to install a new water-saving showerhead and have a couple of questions. How much water do they use? And do they make comfort-style models with added features? A: Standard-flow showerheads use 2.5 gallons per minute, or gpm. So, a water-saving showerhead needs to be using less than that. If you’re thinking about changing to a water-saving showerhead, first check with your local plumbing inspector for code information and guidelines for water-saving flow rates in your area. Some water-saving heads use just 1.5 gpm to meet tighter performance guidelines. To offset using less water, many high-efficiency showerheads have been redesigned to deliver better spray performance, along with added features such as wide, targeted and drenching spray settings; easy-to-clean spray faces; and modern styling.